Verso of the original photo: "Yours very sincerely, myself and Winnie The Bear. 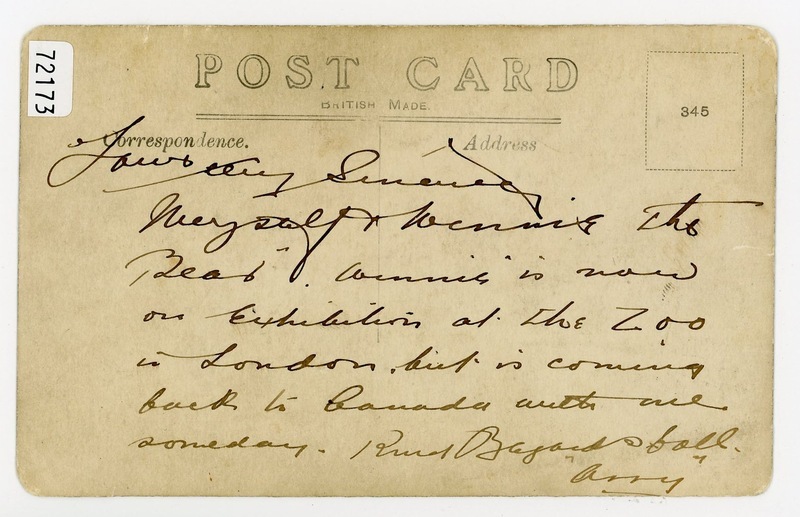 Winnie is now on Exhibition at the Zoo in London but is coming back to Canada with me someday. Kind Regards to all. Arry". 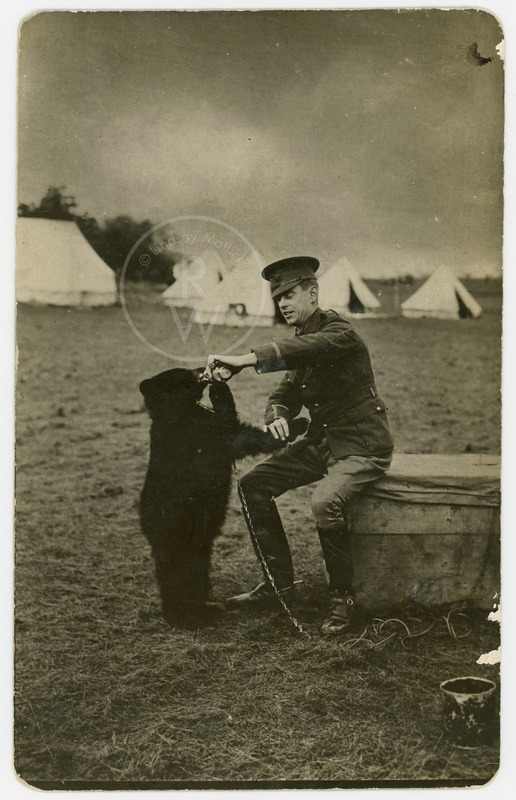 “Harry Colebourn feeding Winnie ,” Remembering the Real Winnie: The World's Most Famous Bear Turns 100, accessed April 25, 2019, http://therealwinnie.ryerson.ca/collection/items/show/53.